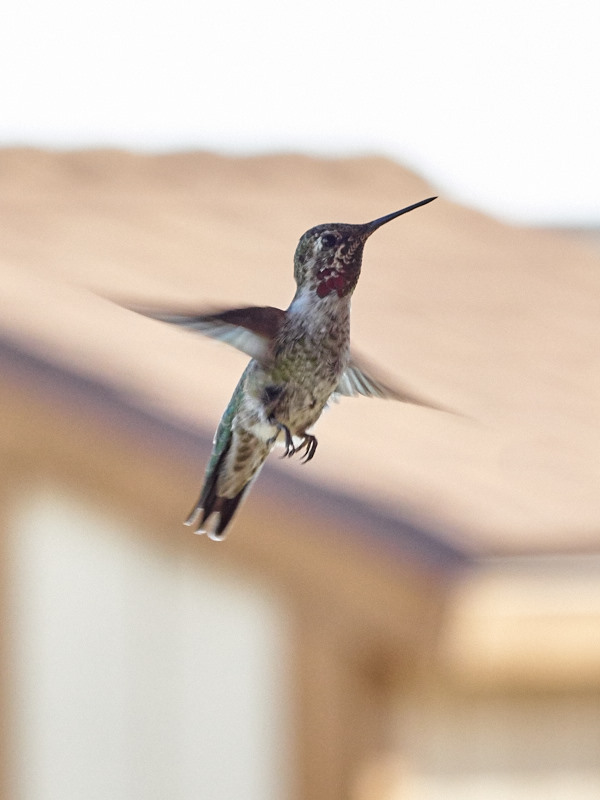 I was out on the back porch playing with the camera when one of the hummingbirds that hangs around the back yard came by. We have three or four of them that are regular visitors and they’re completely fearless, coming by close enough that you can feel them and hovering within a couple feet of you. Since this guy was checking me out, what else could I do but take his picture? This entry was posted in Uncategorized on September 6, 2015 by Phil Ryan.